Every Nissan vehicle is designed with a Charging System that is responsible for recharging the battery so that it can provide enough spark to the starter to turn over your engine. Every time your battery begins to lose its charge, the charging system replenishes the battery with electricity to keep your engine starting as reliable as possible. Without an adequate charging system, your battery’s charge would not be replenished and would not be able to do its job right. If that happens, your vehicle will not start when the charge gets too low. One of the best ways to support your vehicle’s reliability is with a regular Nissan Charging System Service & Inspection. Turning the ignition key, you hear a click or no sounds at all. If you have any of the signs of a charging system problem, you will want to fix the problem before you get left stranded with a dead battery. One of the greatest benefits of charging system service is the inspection. Since the charging system is so complex with many components, the inspection provides an opportunity for an expert certified technician to review your entire charging system and make improvements as needed to restore your vehicle to factory specifications. 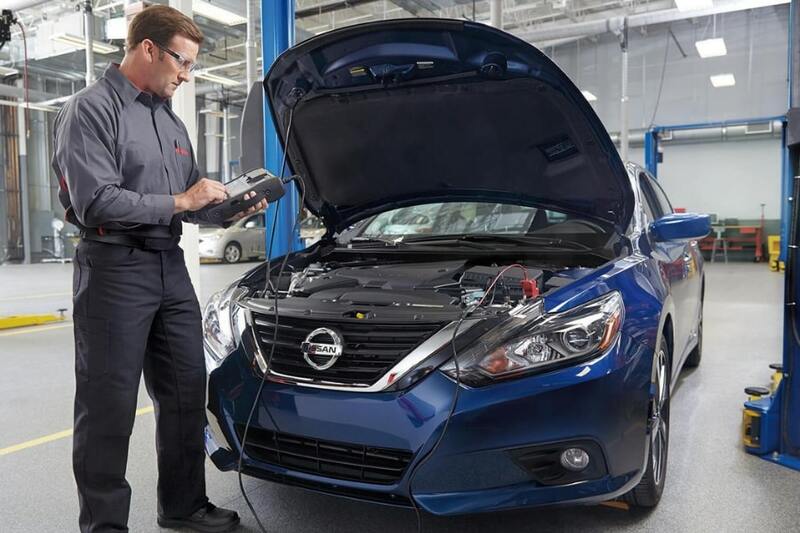 The expert technicians at United Nissan of Las Vegas know exactly what to look for when inspecting your charging system because of their specialized training and proven service protocol. Gain peace of mind with service at United Nissan because we treat every vehicle like it’s our own. If we identify any issues during the inspection, you will always meet with a service advisor before we take any action. One of the best ways to reduce long-term maintenance costs is with an inspection that identifies minor issues before they can get out of hand. United Nissan is conveniently located in Las Vegas within driving distance from Paradise and Spring Valley. If you live in the area and drive a Nissan, we offer the best automotive services specifically designed for your vehicle. If you have any of the signs of a faulty charging system or just want to make sure that your charging system is operating at peak performance, then United Nissan has the perfect service for you. Schedule a Nissan Charging System Service & Inspection to restore your charging system to factory specifications.